Put the kids to bed, Its time for the grown ups to party!!! 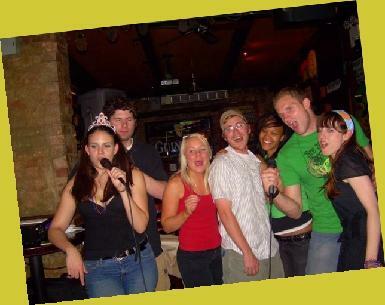 Big City Karaoke is available for your next party, guaranteed to entertain your guests! Custom party packages to accommodate any budget. We can come to a bar, club, restaurant, corporate event or even bowling alley. Mobile light show, stage, and audio equipment available. We "fill the silence" in-between singers with dance music. Your guests will have a great time!